April 12, 2016 – San Diego, CA The popular antidepressant drug Zoloft may be linked to a serious and potentially life-threatening birth defect when taken during pregnancy. At least one study found a potential six-fold increased risk for persistent pulmonary hypertension in babies whose mothers took the antidepressant drug Zoloft late in pregnancy. Zoloft (sertraline hydrochloride) is manufactured by Pfizer Inc., one of the world’s largest pharmaceutical companies. Zoloft belongs to a class of drugs called selective serotonin reuptake inhibitors, or SSRIs. SSRIs are the most commonly prescribed types of antidepressant drugs and help boost a person’s mood by blocking the re-absorption of serotonin in the brain. Serotonin is a naturally occurring chemical that communicates between brain cells. Zoloft was approved for use in the United States in 1991 by the Food and Drug Administration (FDA). It soon became one of the most popular medications on the market to treat depression, and was later approved to treat other anxiety and mood disorders like obsessive compulsive disorder, panic disorder, post-traumatic stress disorder, social anxiety disorder and premenstrual dysphoric disorder. Zoloft’s patented lifespan was marked by a successful and memorable ad campaign featuring a cartoon “blob” and billions of dollars in sales. By 2005, the last full year before the drug’s patent expired, Zoloft raked in $3.3 billion for Pfizer. The antidepressant continues to be one of the most commonly prescribed SSRI medications, though generic versions are now available which has driven down the cost of the drug. 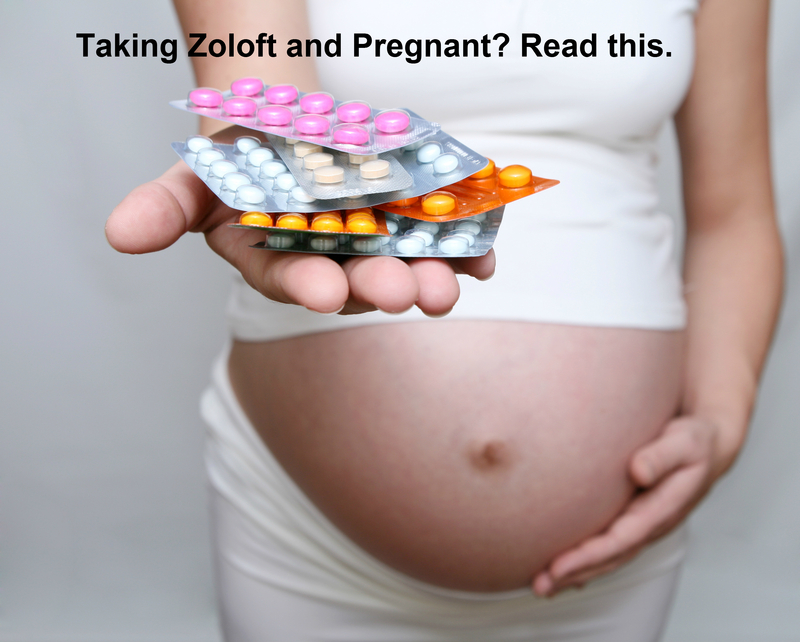 In September 2006, the FDA updated the Zoloft label to include a warning for pregnant women taking an SSRI late in pregnancy. The warning indicated the potential increased risk for a birth complication called persistent pulmonary hypertension of a newborn, or PPHN. While the risk of PPHN is usually about one to two out of every 1,000 live births, a 2006 study found babies born to mothers who took SSRIs after the 20th gestational week were six times more likely to develop the condition. PPHN is a life-threatening condition that occurs when a newborn does not get enough blood-flow to the lungs. Before a baby is born, the oxygen he or she needs passes through the umbilical cord, so blood is directed away from the lungs by what is called pulmonary vascular resistance. As soon as the baby is born, pulmonary vascular resistance in the blood vessels should decrease, letting blood flow to the lungs and allowing the baby to breathe normally. In PPHN, pulmonary vascular resistance does not decrease and causes severe hypoxemia, or below-normal levels of oxygen in the blood. Infants with PPHN may need to be treated with nitrous oxide or a procedure called Extracorporeal Membrane Oxygenation (ECMO). The condition is severe and life-threatening. Even with treatment, studies estimate the mortality rate of infants with PPHN is somewhere between five and 10 percent. Some studies suggest that number may be as high as 20 percent. Zoloft and other SSRIs have been linked to numerous other birth defects which have been documented in peer-reviewed studies. One study published in JAMA Pediatrics in December 2015 found a more than 85-percent increased risk for autism in babies born to mothers taking SSRIs during the second or third trimester of pregnancy. Other studies have linked the use of SSRIs late in pregnancy to heart defects, skull defects and clubfoot. The FDA warns that Zoloft should only be taken during pregnancy if the benefits outweigh the risks. For parents whose children were born with serious birth defects, those benefits did not outweigh risks and they are fighting to hold Pfizer responsible for their pain and suffering. Lawsuits are forming against the pharmaceutical giant which plaintiffs claim illegally marketed Zoloft to pregnant women and failed to warn consumers about the risks of taking it during pregnancy. If you or someone you love was harmed while taking Zoloft you need to take action now. Call the Hood National Law Group today at 1-800-214-1010 for a free case evaluation, or use the form on the right-hand side of your screen.